The Art Hub is an initiative by artist and curator Bhavna Minocha to teach art to aspiring artists, novices and anyone who wants to learn. She also uses art as a medium to help people relax. The Art Hub is not your average school. 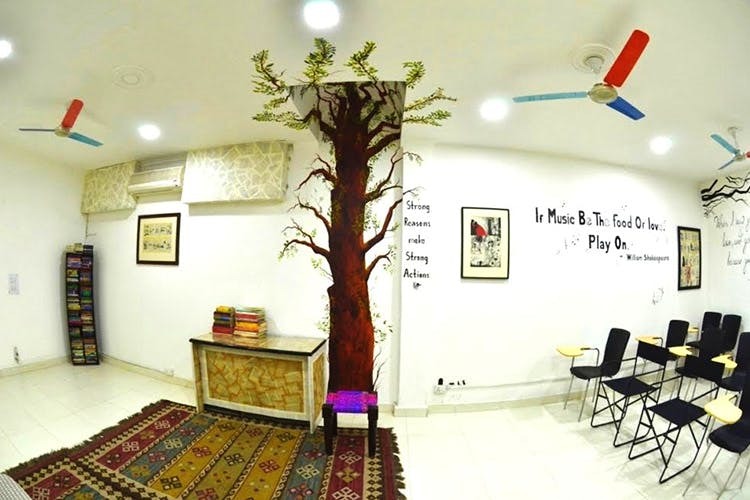 Nestled in the vicinity of South Delhi, overlooking monuments and temples, the school is spread over 5,000 sq ft, supporting classes and a gallery to display the work of the students. There is a very qualified team of art teachers who come from reputed art schools and they organise and customise various art based workshops to enhance the artistic journey of the students. Just about anyone and everyone is encouraged to join this space. Be it a corporate slave, your grandmother, a child, an art enthusiast. All programs are differently designed depending on the audience. So whoever you are, if you ever enjoyed a good painting or tried your hand at drawing and want to become better at it, this is the place to go to. Apart from regular workshops, The Art Hub also holds sculpture making, painting/drawing and photography classes. They also throw fancy art parties for you, have book reading sessions and do team building activities for corporates. Send this link to your boss, maybe?